Whether you are selling a car or buying a car there is often a need to have some cosmetic repairs done in preparation for carsales. When selling a car you don’t want to spend ridiculous amounts of money tidying it up for sale. Why would you when you won’t get to enjoy it yourself. BUT getting some of the smaller damages repaired can impact the return you get at the time of sale. Bumper scrapes, small dents or panel scratches can really put of potential buyer off purchasing the vehicle. With this in mind it is definitely worth spending a little money when it comes to carsales. We can even offer a basic cut & polish service or detailing to bring that shine back to the paintwork and the interior trims of your vehicle. When searching carsales or the like for a new vehicle we are always looking for that bargaining power. If you know how much it would cost to repair any damage you see on the vehicle, this can help reduce the sale price to your advantage. You may even be able to negotiate a better price with the private seller or have the car dealership have the repairs done for you as part of the agreement. Either way it is wise to armed with as much knowledge as possible when it comes to purchasing your next vehicle. Calling SMART Paintworx and providing basic details of the damage and photos where possible can assist with providing a quote. This way you can repair your car for sale or book in those repairs for the vehicle you’ve just purchased. Either way we can offer our expertise to benefit your carsales or purchase endeavours. 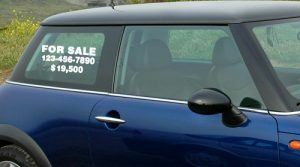 This entry was posted in carsales and tagged carsales. Bookmark the permalink.